Here’s how to download YouTube videos on your Android phone. 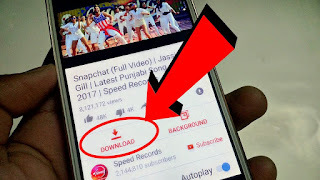 You can find two ways to download videos from YouTube. Now, let us see one by one. Find the video you want in the YouTube app. Tap the share button which appears when you tap on the video player. Select YouTube Downloader from the share menu. Select the video / audio format you wish to download. We recommend MP4 files in 1080 or 720p for videos and MP3 files if you only want the audio. Tap Download here to confirm. Tap Download to grab a plug-in file if necessary. This will only happen the first time you download a file in a given format. Enter a term in the search box and tap the search button. A list of videos appears. Tap the video you want to save. A list of options appears. Whichever way you find your video, YouTube Downloader will then take anywhere from a few seconds to a few minutes to download and store it on your Android phone. You can play the video directly from YouTube Downloader or find it in the Download folder on your phone.